Kit de Microfones Estéreo Neumann KM184mt Stereo Set Black. Cor: Black. 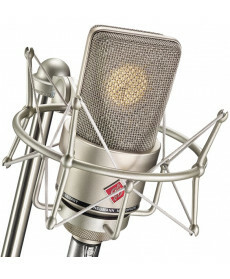 The KM 184 (cardioid) in particular has become the classic high-quality miniature microphone. 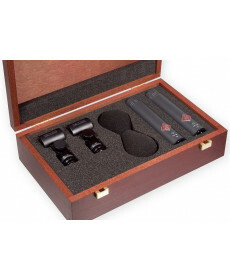 Microfone Neumann TLM103 Studio Set. Cor: Nickel. The modern classic for vocals, spoken word, and more. 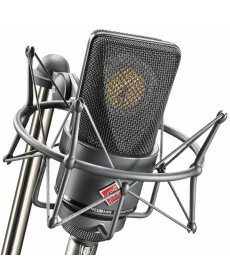 Microfone Neumann TLM103 mt Studio Set. Cor: Matte Black. The modern classic for vocals, spoken word, and more.